If you have read any of my reviews, you know that I’ve been using Wen by Chaz Dean Cleansing Conditioner for the last few months. Wen is a sulfate-free cleanser that nourishes and detangles the hair. Wen is awesome but pricey, I have alot of hair and at $40 a bottle that is an expensive commitment. The four formulations are Cucumber Melon for normal hair, Olive Oil for dry and damaged hair, Jojoba for color treated hair, and Tea Tree for dry scalp. I like as much moisture as humanly possible so I bought the Olive Oil. I have to say, I liked is just as much as Wen. It didn’t smell as good but it was just as moisturizing if not more. To be fair, I had the Sweet Almond Mint by Wen which is not the most moisturizing formula that Wen makes. But with Hair One, my hair felt just as moisturized, tangle free, and just as clean. 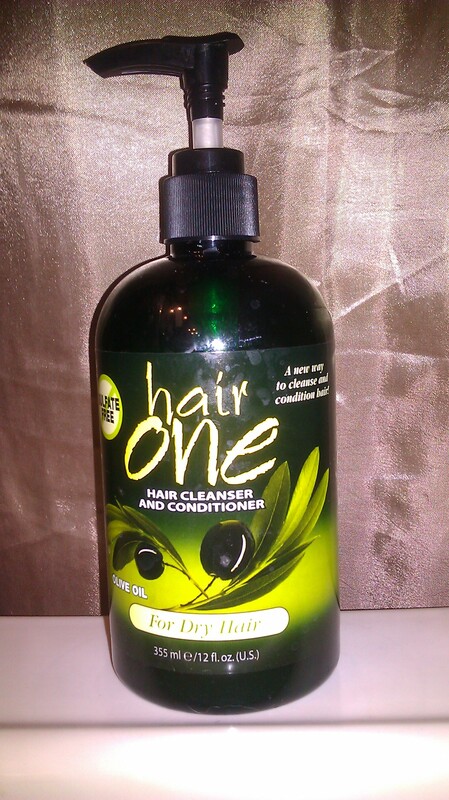 I still think Wen makes wonderful products but if you’re in a pinch in between bottles of Wen or want to try sulfate-free cleansers without blowing alot of money, Hair One is definitely the way to go. I’ve always wondered what the whole sulfate free thing was about. My stylist explained it to me, but when I tried Loreal’s sulfate free vs. my usual Redken All Soft, the sulfate free shampoo left my hair more thirsty and unmanageable. Thoughts? Sara, I think you should try Hair One you can’t go wrong for $10. I’ve also heard alot of good things about Carol’s Daughter products. They are also Sulfate free. We are a gaggle of volunteers and opening a new scheme in our community. Your site provided us with useful information to paintings on. You have done a formidable job and our entire community will be grateful to you.